Dow-Key® Microwave’s Hi-Repeatability Reliant Switch™ product line is economically priced to minimize impact to budgetary concerns and are designed to deliver its specified performance over the life of the switch. 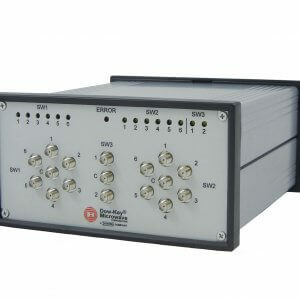 The MMS-series requires a 12Vdc / 2.5A power supply and the switches can be controlled remotely via TCP/IP Ethernet and HTTP-Server, which has a built-in “Sequencer” feature that allows the user to program up to ten 500- step sequence programs. 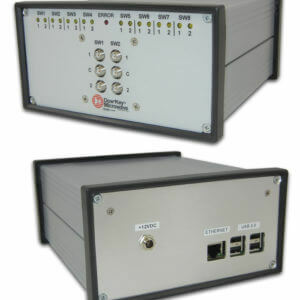 It can also be controlled via USB port as a virtual RS-232 serial port.